About & FAQ | Home: Free Sociology! Home: Free Sociology! 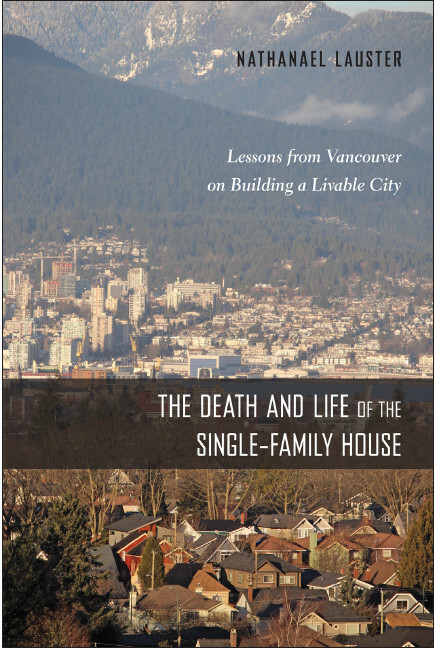 is a front for Nathanael Lauster, Author of The Death and Life of the Single-Family House: Lessons from Vancouver on Building a Livable City, Co-editor of The End of Children?, and Associate Professor in Sociology at the University of British Columbia. See my departmental profile here. All thoughts are my own, and a surprisingly large number of them seem to involve housing, immigration, books, and cities. Where are you trying to take cities? I’d love to see North American cities become more diverse, more welcoming, more inclusive, and more sustainable. I’m pretty sure this should involve changes to the built environment, enabling more people to share land and take transit, bike, or walk to work. I think apartment bans and related exclusionary practices should be overturned. I’d also like to see a much larger and diverse stock of non-market housing to complement various kinds of market housing. I’ve been heavily influenced by Iris Marion Young’s vision of the City as a model for thinking about Justice and the Politics of Difference. If this vision appeals to you, we should probably be friends. Do I think living in houses is bad? Nope. My book is not meant to discourage people from living in houses, but rather to discourage cities from holding up single-family detached houses as deserving of special legal protection. If you live in a house and love it, that’s great! If you want to live in a house, that’s also great! There are plenty of ways to tack against the harms (e.g. excessive energy use & automobile dependence) that tend to be associated with house living, and the more inclusive future for North American cities I want to see embraced would still have room for plenty of houses sprinkled in with other land uses. So living in houses is fine. What I DO think tends to be bad is when people actively seek to prevent others (including their neighbours) from living in alternatives to houses. Am I a developer shill? Nope. I’m paid by UBC. I’ve also done a bit of consulting work, primarily as an expert witness, where my duty is to the court. I have received no payment from developers for any of my views or advocacy. I generally support the work of organizations, like the BC Non-Profit Housing Association and Abundant Housing Vancouver, aimed at providing more housing options for people – especially those left out by current market provision. I also generally support policies, like rent control, rental stock protections, higher property taxes, and empty homes taxes, that profit-oriented developers often dislike. Do I think housing should be a right? Yes. I think there are still a lot of details left to be worked out in that answer, and those details (e.g. housing where? of what size? what kind of quality?) are pretty important to get right, but I definitely believe everyone should have a right to housing. Am I some kind of socialist? Maybe? Kinda yes, kinda not? I have socialist sympathies, and I definitely see rising social inequality as a problem in need of addressing. I strongly support more progressive taxation – including much higher marginal tax rates and progressive taxation of wealth – as well as things like basic minimum income policies. But I’m also concerned about concentration of power and granting governments too much sway over everyday life. I’m constantly thinking through and refining my thoughts on property and property law as both a key site of inequality and an important source of resistance to the concentration of power. That and I’ve been heavily influenced by my read of history, feminist & intersectional scholarship emphasizing the insufficiency of a class analysis. In terms of thinking through and critiquing markets, I’ve got lots of time to talk Polanyi and political economy with people, but I also get frustrated with glib vilification of neoliberalism as the root of all social ills. Do I think everyone who supports a foreign buyer tax or ban or otherwise disagrees with me on some policy is a racist? Nope. I think the underlying logic of the Foreign Buyer Tax and similar policies blaming foreign elements for local problems is troublesome and in practice bleeds over into ugly anti-immigrant sentiment. But widespread support for the tax reflects many things, and racism is only part of the mix. More broadly, there are lots of people I respect who support policies I don’t support because they see things differently. And generally having lots of perspectives in the public sphere is a good thing. When you get invested in how policies work, you get lots of disagreements, even when you have similar visions of where you want policy to take you. My job as a professor of sociology is to think about stuff, gather observations on things, and report back. Too often academics just speak to each other, and do so in arcane and obscure ways. This blog is an attempt to report my thinking and observations in a more public manner. I take for granted that my voice shouldn’t be the only one out there in the public sphere. I definitely won’t have all the answers and sometimes I’ll be wrong. But I’ll try and admit it when I am. I’d also like a much more diverse public sphere – one less dominated by privileged white guys of a certain age, like me – and I encourage that when I can, including by sending media requests to other scholars and thinkers. Hit me up if you’d like me to send media your way! But I still hold out hope that I’m adding to the public conversation. So despite occasional attempts to shut me up, I’ll probably keep putting my thoughts out there. Hi David, Thanks for reaching out, I’m quite happy to chat! Let’s connect via e-mail, if possible.